Some excerpts from the Twitch chat where people are making fun of ESL. HELLO ESL? ? VALVE HERE ? LAST TOURNAMENT ? And by the way, the stream is still down. 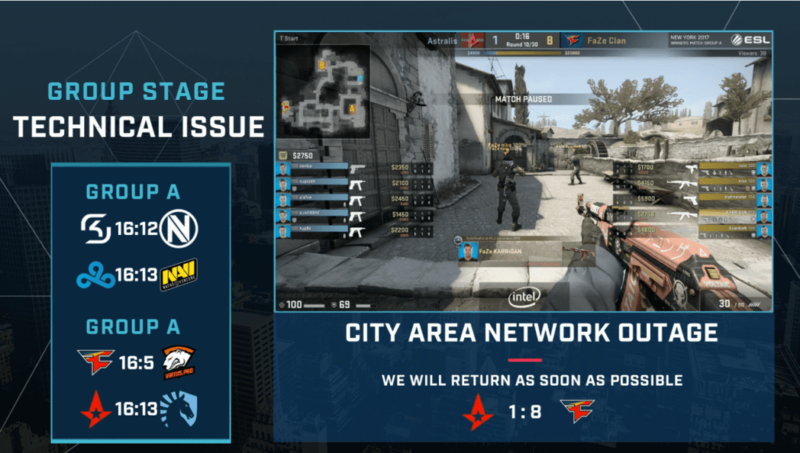 The last account of the scores was Astralis down 1-8 to FaZe. It is funny because they call it “CITY AREA NETWORK OUTAGE”, however, the Stream B is perfectly working fine. BTW, the game is live on the ESL Russian Stream.